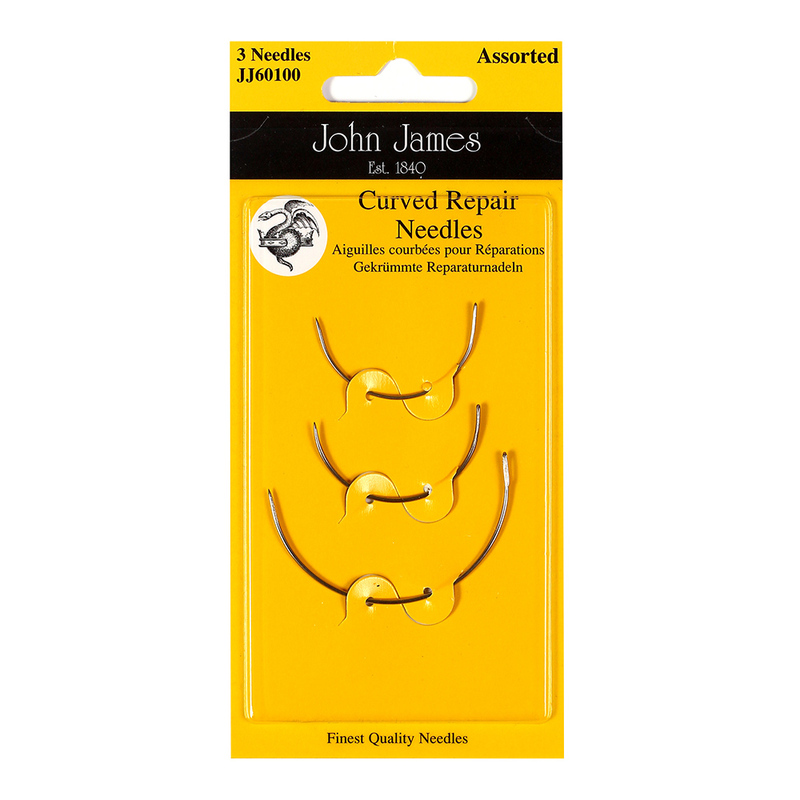 Curved Repair sewing needles are also known as Curved Mattress needles. They are a necessity for every work box, whether you are a general sewer or a crafter. They are used for general repair and are also great for sewing fabric boxes together and repairing lampshades. This kit contains 2 small curved sewing needles and 1 large curved sewing needle, a total of 3 sewing needles. Additional needle sizes are available: Curved Mattress size 2" to 3" and Curved Mattress size 4" to 7". Each pack contains 10 loose needles.